Fundraiser by Michael Itkin : Boris Koretsky Daughter's Fight with Leukemia. Boris Koretsky Daughter's Fight with Leukemia. Dear Friends and members of the Fencing Family. 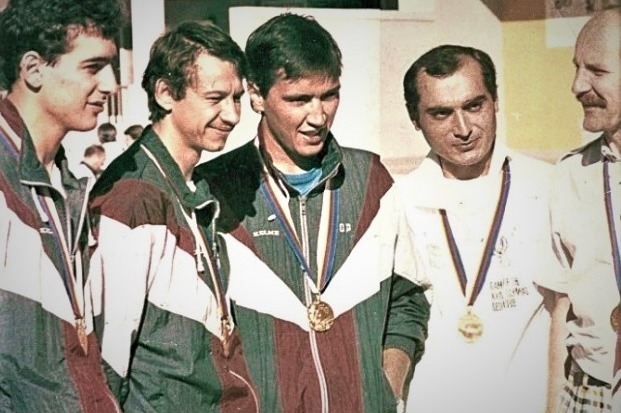 Boris Koretsky - 1988 Olympic & 1989 World Team Foil Champion and current Coach of Belarus National Team needs our help. Last November his Daughter Veronica has been diagnosed with an acute myeloid leukemia - a deadly disease which has attacked her brain. Three rounds of chemotherapy in February and March haven't helped, next round became impossible due to an intense fever and undermined immune system. Currently Veronica is resting at home. Family's only hope for her survival is to send her for a treatment abroad - which is planned at a clinic in Israel. A fencing coach in Minsk can not afford to send his Daughter on such a trip, much less - the treatment. No donation is too small, so please assist in a fight to retain Veronica's life. With deep appreciation, Ilgar Mamedov & Misha Itkin. Дорогие друзья и члены фехтовальной семьи. Три сессии химиотерапии в феврале и марте не помогли, четвертая невозможнa из-за сильной лихорадки и подорванной иммунной системы. В настоящее время Вероника отдыхает дома. Единственная надежда семьи на ее выживание - отправить ее на лечение в Израиле. Помогите в борьбе за Вероникy. С глубокой признательностью Ильгар Мамедов, Миша Иткин.